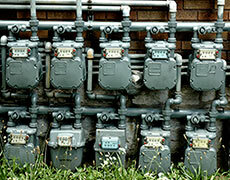 Maximum Plumbing offers commercial plumbing services to businesses throughout the greater Baltimore, Maryland area. Business owners rely on Maximum Plumbing to handle all of their plumbing and gasfitting needs. Maximum Plumbing employs only the most experienced plumbers and gasfitters, sending these expert technicians to all plumbing and gasfitting jobs, to make sure that you receive the best possible plumbing. If you are looking for quality plumbing services for your business, and your business is in or around the Baltimore, MD area, please call 443-928-7093 or contact us today. Maximum Plumbing offers emergency plumbing services for property managers, businesses and commercial properties. We are available all week long to help you deal with any emergency situation; you can call 443-928-7093 any time between Saturday evening and Friday afternoon. Maximum Plumbing completes plumbing for new construction projects whether the project is a single-family home, a large apartment building, or a new commercial facility with unique needs and intricate plans. In addition to our extensive knowledge regarding commercial projcts, we offer competitive pricing for professional and dependable service that business owners can count on. Maximum Plumbing offers pipe inspection, as well as repair and replacement services, all to give business owners better peace of mind. By using our company for all of your plumbing and gasfitting needs, your business can continue doing what it does best: making money. Maximum Plumbing can help with your plumbing needs, no matter what those needs may be. If your business needs plumbing for new construction, an addition or remodel of existing construction, or plumbing services such as plumbing repair, maintenance or replacement, please contact us today.